Diron supply quality aftermarkt cat alternator, also sale other replacement alternator used for heavy equipment, cat, cummins, komatsu. We are heavy equipment replacement parts dealer from china. The alternator is usually made of stator, rotor, End caps and bearings and other components. 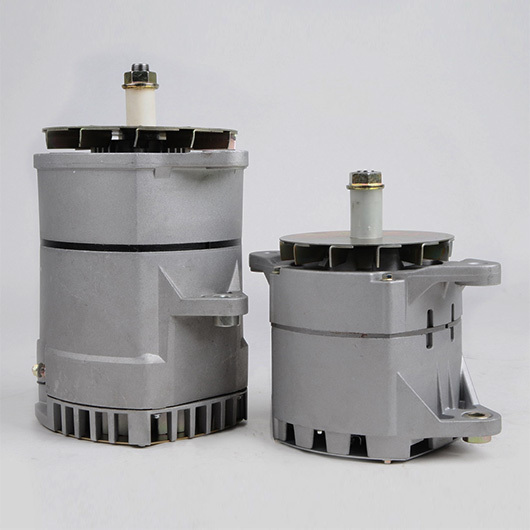 The stator consists of a stator core, a wire wrap, a base, and other structural parts that secure these parts. The rotor consists of rotor core (or magnetic pole, magnetic choke) winding, retaining ring, center ring, slip ring, fan and shaft and other components. By the bearing and the end of the alternator stator and rotor connection assembled, so that the rotor can rotate in the stator to do the movement of magnetic lines, resulting in induction potential, through the terminal leads, connected to the circuit, it produced a current.